The previous visual identity at Mimis Tavern, a sign facing the main road from city to beach. The sketch process of logotype and cutlery icon. Before: Mimis Tavern had 2 menus with very different visual language. After: a cohesive and clean menu was delivered. Since typefamily Serenity caught my eye, I needed to find an additional font that had Greek characters and that worked visually well with Serenity. The menu is set in thin and medium weights of Proxima Nova. Also, close up of menu illustration, take-away box, business cards and social media asset. From one of those magic summer evenings where food, music and friendship was celebrated, me and my company found a pearl by the Cretan sea shore – Mimis Tavern. The tavern had recently refurbished its entire space and needed a new visual style to take its traditional Greek cuisine into 2018. My client, Aris, the Executive Chef at Mimis Tavern, had a vision of aligning the branding with the interior style and thus our journey began towards redefining a rustic and worn out graphic identity into a sophisticated, crips and modern brand – of course, with a traditional touch. Because Mimis Tavern is situated on the principal road to and from the beach, in summer time, many potential customers pass by on a daily basis. There needed to be an instant recognition of a food service, so cutleries had to be used in the new logotype. I also needed to think about eating habits, for instance, I had an early idea of having crossed cutleries because I liked the dynamic of two lines interacting, but my client was adamant that we thought of this as a symbol of the dining experience already being over, and that symbolism would not be inviting on a psychological level. For the logotype, the client envisioned a style that would potentially look beautiful as a neon sign, but not limited to this execution. For me, this meant working with thin lines and finding a way for the characters to close in on each other. I liked the crispness of thin font weights of the Serenity typeface and worked with redrawing the letters into an ethereal and well-balanced image that would pike customer’s interested. 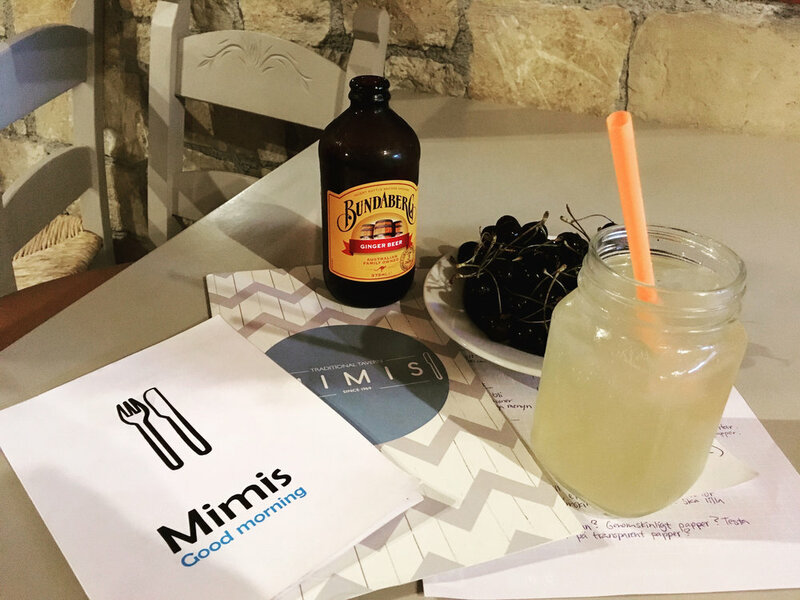 If all other taverns along the sea shore had a traditional Greek visual identity (letters inspired by ancient Greek typography etc), then Mimis Tavern needed to stand out as a more modern and chic option. The main colour palette was directly inspired by the choice of having a monochrome interior palette: grey and silver. In the menu, I brought in pale colours to match the food and the ocean. This work did not include a thorough brand manual as I usually tend to deliver to clients who order a re-branding. However, some specifications were outlined in a style document. 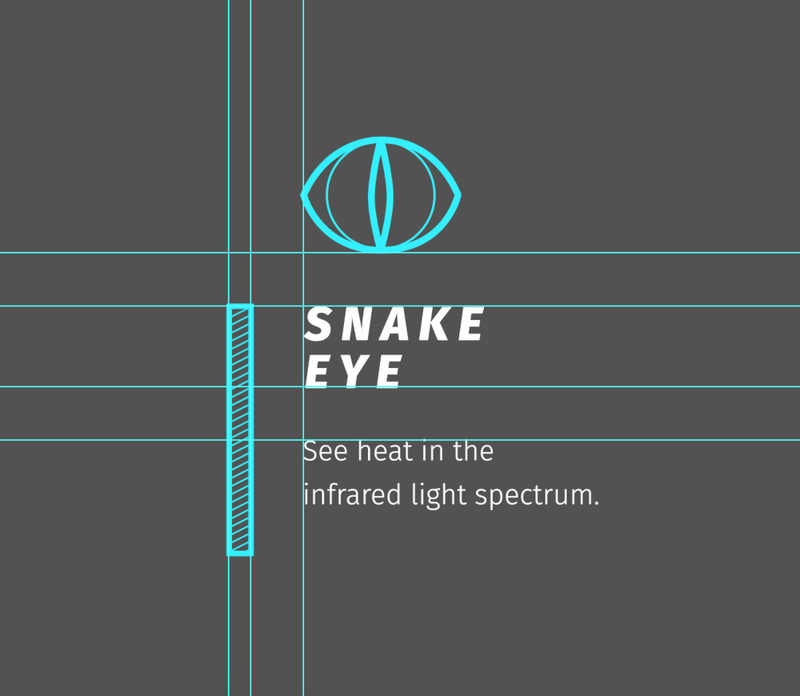 Brief instructions on typographi, logo clearspace etc. See more images in the Mimis Tavern section of my portfolio. Thank you for reading! Our vision started with Brahimi’s original art “KURO”. Kuro is a human gone cyborg who wields a modern version of a traditional katana. Like many cyberpunk movies, Kuro is set in a dystopic future where humans and post-humans live in conflict in a crude megacity. My work with the logotype started with pen and paper. We went with an edgier style that could work in a futuristic cyberpunk environment, whereas the bled-out ink logo felt traditional and not in line with our lore. Our animated prototype shows Kuro’s mindware updates which are his cognitive enhancements. Thanks to Johansson’s IA, I could easily map out a good hierarchy. The images shown here are wireframe and icon tests along the way. For the past two months, I’ve been part of conceptualising a game project together with UX/cognitive designer Kim Johansson and game art student Kushtrim Brahimi. The project is purely fiction with the intention for each artist to grow his/her skills. We’ve now reached one of our milestones and would like to share our process. Kuro is a game concept set in a dystopic future, where humans and post-humans think very differently on mankind’s evolution. We’ve been very inspired by the cyberpunk genre in how techno-humanity (cyborgs, body enhancements) could manifest in society and what pros and cons these would bring to humanity as a species. The main story line follows Kuro, a human gone cyborg, who’s shunned from the underground human movement. Kuro takes it to the streets where crime roars around every corner, and where his weaponry skills and enhancements bring him one step closer to the truth of where he really came from and why humans are at war with post-humans. The team started on a vision initially expressed through Kushtrim Brahimi’s artwork “KURO”. We discussed what roles each artist should have but also what our expectations were at the finishing line. With the genre being cyberpunk, we began exploring how lore, information architecture, UI-hierarchies and artwork could come together into an early stage concept. Both Kim and I were keen on animating, so for this first phase, we decided on making a prototype in After Effects to show Kim’s work with the IA and my work with the UI. Throughout the whole process, we had a tight collaboration where we continuously discussed how logotype, UI, lore and graphics could bring the story of Kuro to life and with our first phase of the project being done, we feel very content with how we successfully met our personal goals. See more images in my Kuro portfolio section. Visit Kim Johansson’s portfolio here and Kushtrim Brahimi’s portfolio here. Thank you for reading! The “lips” quickly became the promo image of Merritt’s new website. In this particular pairing, I imagined the words coming out of the model’s mouth. 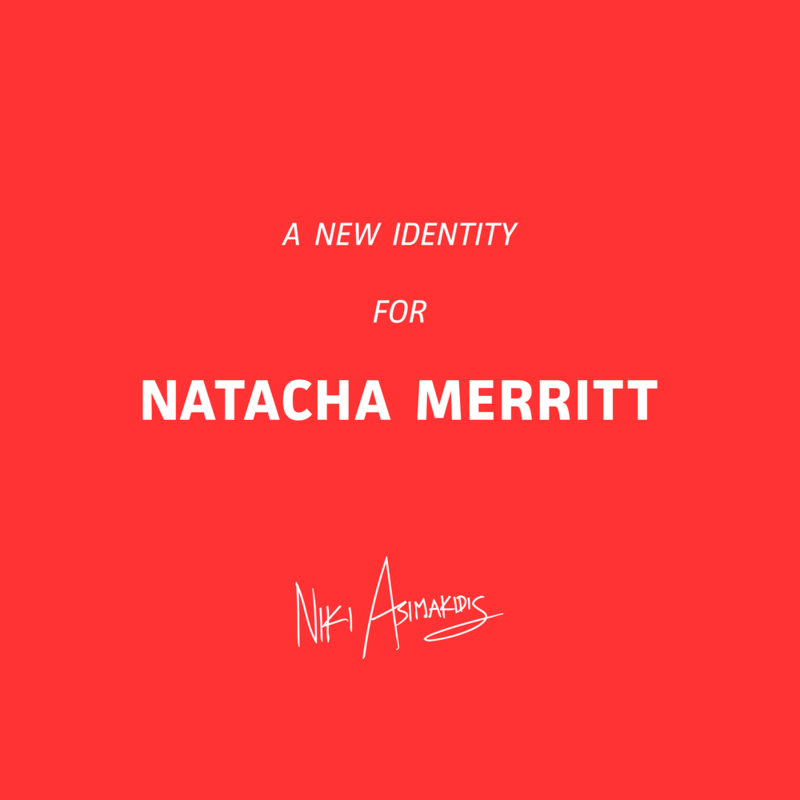 This summer, I worked with American fine art photographer Natacha Merritt on re-branding her website. Merritt needed a complete re-branding of her digital presence where her fine art and commercial branch could come together. With the photographs being the core of this project, I first studied Merritt’s work before coming up with concepts. Many of these photos were captured at an arms length by the artist herself, or during various productions where Merritt documented her attempts in immersive theatre, and more. Here, I saw a lot of movement, tension, rawness and intimacy between different entities. My visions was to bring these attributes together in one gridded gallery where typography and colours would “help” the unspoken narrative to surface. One way to do so was to play with slanted or tense/cropped typography with a sense of direction dependent of adjacent images. I began my typographic research at Barbara Kruger’s bold Helvetica set on coloured boxes and landed on FACIT: an Avenir-look-alike which is softer and more playful. I think it sets Merritt’s identity to a more commercial tonality, with charming characters like lowercase “w” adding a “curved” surprise ending in its italic form. I then mixed small font sizes, big word games and a lot of whitespace to emphasise a “galleristic” feeling. The sober bright red was conveniently colour-picked from Merritt’s “lip” photograph. See more images in my Natacha Merritt portfolio section. Read more about Natacha here. See finished website here. In this part of my portfolio, you can gather insight on the design decisions behind my recent projects.